Isn’t it so easy to make sure our kids’ needs are met, but to overlook our own? I love running outside, but when my triplets were little, I spent most of my time running after them instead! Thankfully, I discovered a 30-minute intense and invigorating workout that fit with our schedule: P90X3. 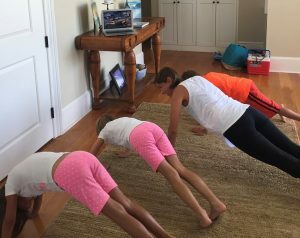 I didn’t have to go to the gym, but could do the exercises in my family room during their naptime or while they watched a show. 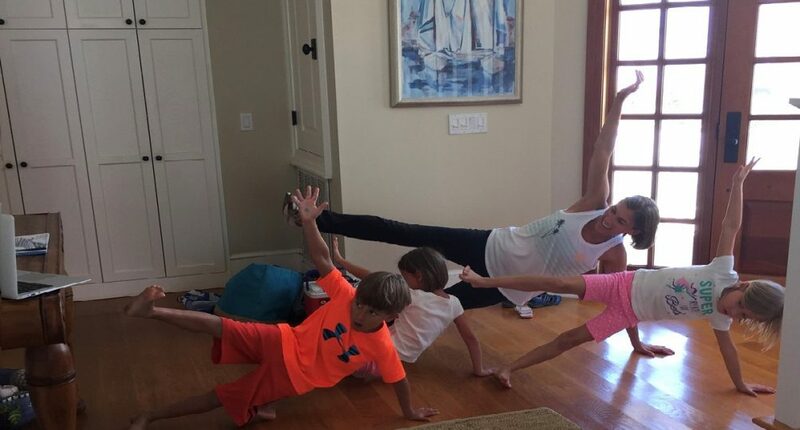 Once I committed to the three-month schedule, not only did it make me feel healthier and more alive, but it made me a better mom. Around five years old, my kids even started jumping in for parts of the workout which was entertaining. Having my son yell, “Great job, Mom – you can do it!” was pretty inspiring! And now I turn the tables to cheer you on: YOU can do it! Let’s not only take care of our kids, but ourselves too! 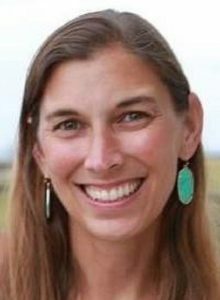 Linsey Driskill and her husband have seven-year-old triplets and live in Virginia. She is passionate about spurring families on to love God and others through her writing. She has written for Focus on the Family magazine, Just Between us and Church.org. Linsey is currently working on a devotional about women in the Bible for mothers and young girls (LinseyDriskill.com/writing/). Receive Linsey’s weekly parenting post by subscribing at LinseyDriskill.com and follow her @BeautifulHeartedParenting on Facebook and Instagram.